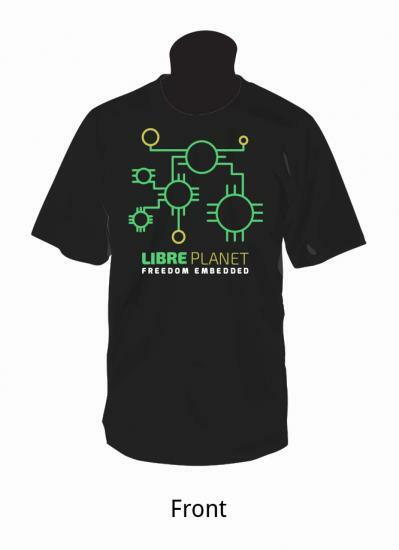 2018's LibrePlanet shirt comes in black, high-quality cotton, with a special LibrePlanet logo to celebrate reaching our 10th year. We have unisex and women's sizes. 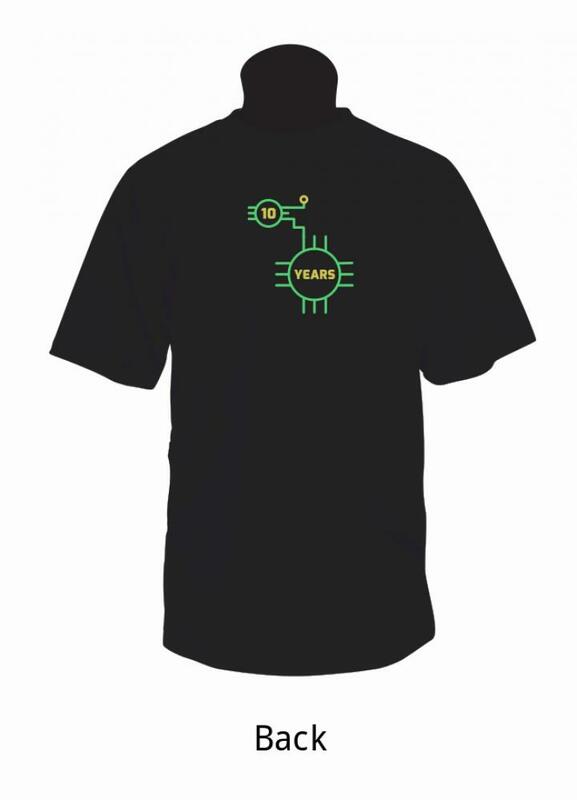 The shirts are manufactured by Bella Canvas, which is WRAP-certified, meaning they comply with ethical, health, and safety standards in manufacturing.